Whether you're traveling for business or pleasure, planning a productive week, searching for a romantic getaway, or exploring opportunities for family fun, the Red Lion Hotel Pasco offers you the best of Pasco, WA hotels. Be greeted by a warm atmosphere, hometown hospitality, and genuine local smiles before retreating to one of 279 comfortable pet-friendly guest rooms or suites. 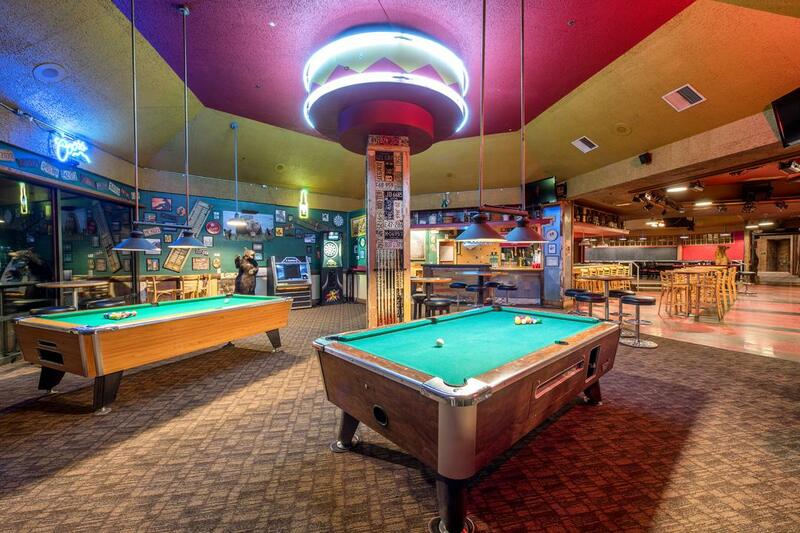 As one of the most highly-regarded hotels in Pasco, WA, we're happy to offer a variety of on-site amenities. From a full-service business center to complimentary airport transportation, Tesla charging stations, to on-site dining and more, business travelers adore the convenience of Red Lion Hotel Pasco. Offering more than 17,000 square feet of meeting space. Red Lion Hotel Pasco is an ideal choice of venues for business meetings, conferences, and social events. Whether you're looking to explore the surrounding area which is immersed with some of Washington's best wineries and family activities or are looking to are busy running to and from business meetings, you'll enjoy returning to the many amenities of Red Lion Hotel Pasco, one of the best Pasco airport hotels. Red Lion Hotel Pasco offers a variety of conveniences designed to ensure that you have a pleasant experience. When my wife and I travel every Memorial Day to Tri-Cities, we ALWAYS stay at the Red Lion in Pasco, WA. The rooms are spotless and spacious, the pool is always clean, the food is excellent, and the staff at the front desk is the best I have encountered in 40 years of traveling. From delicious on-site dining, relaxing afternoons by the pool or productive workouts in our fitness center, our Pasco, WA hotel offers exceptional amenities for your enjoyment. Take advantage of our business center or meeting facilities to make sure that your event will be the talk of the town for months to come. First-class accommodations await when you land at Red Lion Hotel Pasco, one of the best Pasco airport hotels. 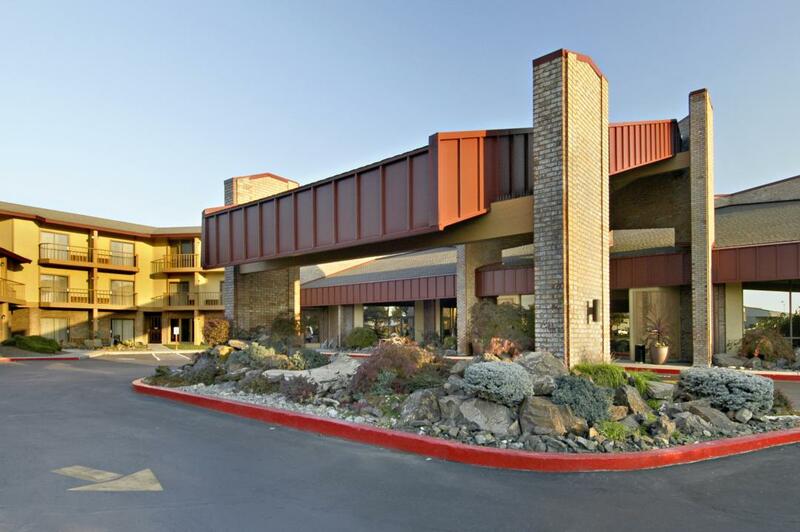 As one of the most affordable and convenient hotels near Pasco Airport (PSC), the Red Lion Hotel Pasco offers the smoothest of arrivals and departures for our business and leisure guests. Once you touch down at Red Lion, a chosen destination among Pasco airport hotels, take advantage of our complimentary airport shuttle service for a hassle-free ride to your comfortable guest room or suite. From the terminal to relaxing in your room in less than 20 minutes, our shuttle brings you to airports near Kennewick, WA. Eliminate the stress of a rental car or taxi fees and having to worry about parking so you can spend more time enjoying your vacation. 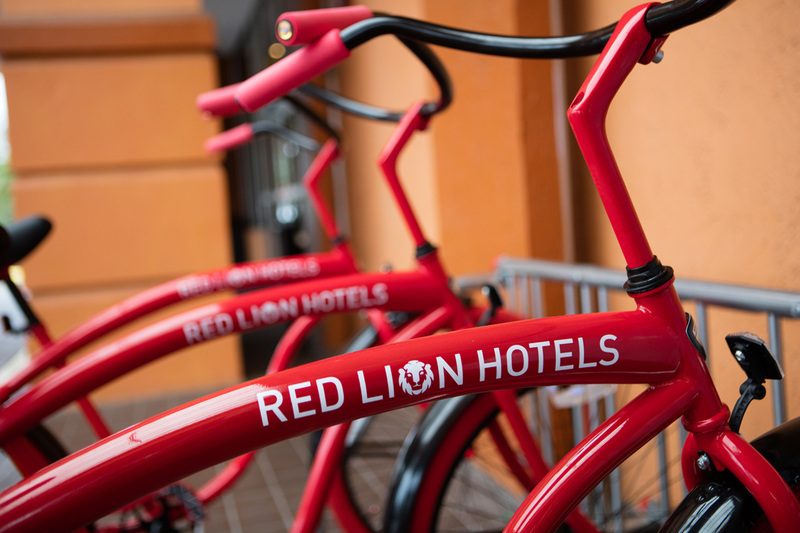 A great way to experience the great outdoors in Tri-Cities, Red Lion Hotel Pasco offers complimentary bike rentals. Located in central Tri-Cities, our hotel is the perfect place to start your tour of Pasco. Take the Columbia Plateau Trail to see Ice Harbor Dam or peddle the John Wayne Pioneer Trail—the longest rail-trail conversion in the United States—spanning over 250 miles. If an urban spin is more your speed, Red Lion Hotel Pasco is minutes from a variety of attractions and things to do in Pasco. Still not sure which path to take? Go ahead and make your bicycle reservation with our front desk (to ensure availability) and then check out some of our local favorite routes here. At our Red Lion hotel near Pasco Airport, we understand traveling can be stressful. As one of the most desirable Tri-Cities hotels, we're proud to offer unparalleled convenience, premium amenities, and friendly service to travelers from near and far. We are happy to welcome pets to our hotel, especially yours. Our hotel is one of the best locations for pets in Pasco. We have plenty of green space for pets to exercise, walking trails and a pet-friendly staff that's always welcoming. We have rooms specifically designated for you and your furry family member with close access to the outdoors. To learn more about our pet policy, pet-friendly rooms, and room availability please contact us. A small pet fee will apply. Satisfy your palate with fresh, seasonal ingredients from our locally inspired menu at one of our on-site Pasco restaurants without ever having to leave Red Lion Hotel Pasco. Whether you're interested in savoring Washington wines and tantalizing tapas at Bin No. 20 Steak & Seafood Restaurant or are looking for dining with some entertainment at Grizzly Bar, dining at Red Lion Hotel Pasco is sure to be a treat. Bin No. 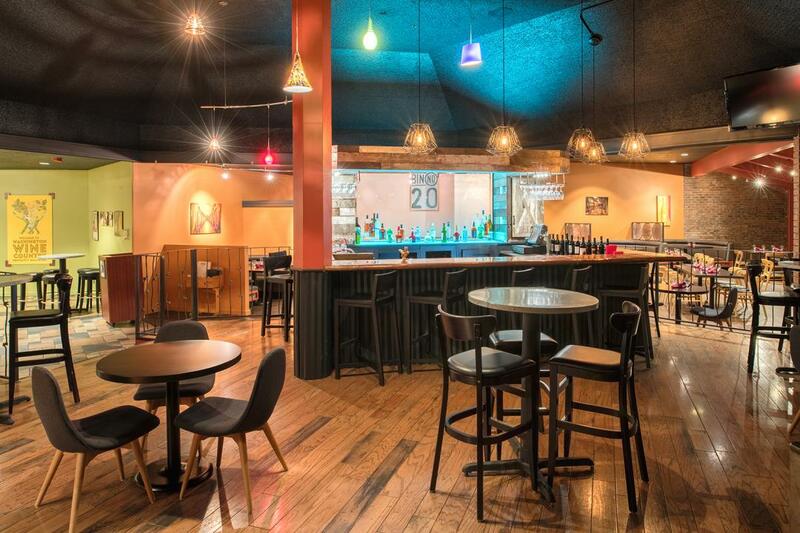 20 Steak & Seafood Restaurant has been recognized as one of the best Pasco, WA restaurants and Grizzly Bar features casual dining, drink specials, dancing, contests, and much more. We proudly offer a delicious complimentary breakfast every day of the week at Seasons Restaurant. And although our surrounding area is adjacent to some of the best restaurants in Tri-Cities Washington, we also offer catering and room service for guests who want to dine in the comfort and privacy of their accommodations. Join us at Bin No. 20, a Pasco Wine Bar & Restaurant for an extensive selection of Eastern Washington dinner specialties paired with Washington Wines. Or have one of our top-tier bartenders mix up a specialty cocktail or two while enjoying some of our award-winning appetizers. Offering an extensive list of the best Washington State wines, ours is one of the most beloved wine bars in Pasco. We look forward to welcoming you for a memorable meal or fun night out. Satisfy your palate at your event in Pasco with full-service catering from Red Lion Hotel Pasco. Whether you're planning a banquet affair or are searching for delicious entrees and carefully-crafted cocktails for a more intimate gathering, our dining and catering staff will ensure your event is a success. From creative entrees to flawlessly delivered breaks, our hotel is a leading provider of catering in Pasco. Trust our experienced catering team to design a menu that exceeds your expectations without extending your budget. For further assistance and to plan your event, please call (509) 547-0701 and ask for the catering director today. At the Grizzly Bar, we celebrate every holiday big or small, with drink specials, contests, and unique party favors at this go-to bar and lounge in Pasco. For Friday and Saturday night entertainment and dancing, join our hotel bar and lounge to mingle with guests and locals as our DJ spins requests along with current hits. 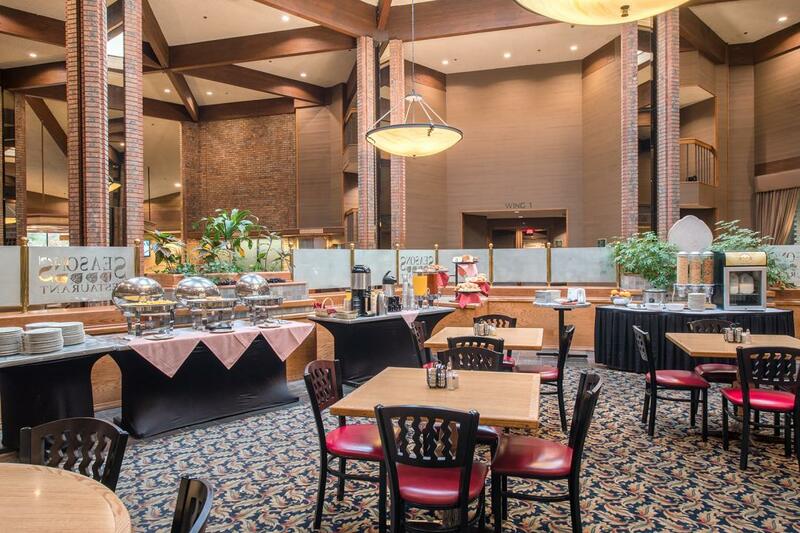 Our Red Lion Pasco restaurant, Seasons, is an on-site eatery with an espresso bar. We make every effort to ensure your visit is as comfortable and convenient as possible. To that end, we proudly offer complimentary breakfast every day of the week. Our deluxe breakfast includes eggs, cereal, pastries, yogurt, bread, fruit, juice, coffee, and more to help you fuel up for your next adventure in the Tri-Cities. Lunch Menu served daily until 1:30pm. In the heart of Washington Wine Country our hotel offers a convenient venue for banquets, business meetings, weddings, Quinceañeras and other events in Pasco, WA. 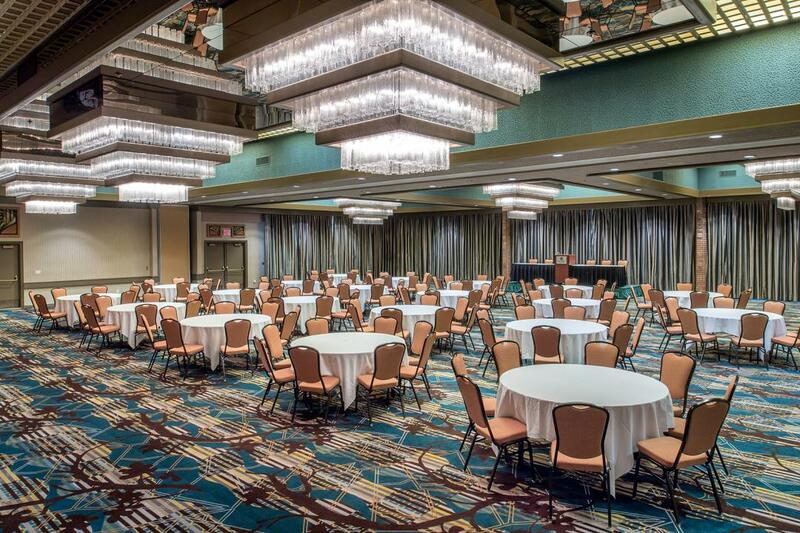 As the largest Tri-Cities convention hotel and adjacent to the airport, our event venues in Tri-Cities offer 17,000 square feet of flexible space for conferences, business meetings and cocktail receptions. 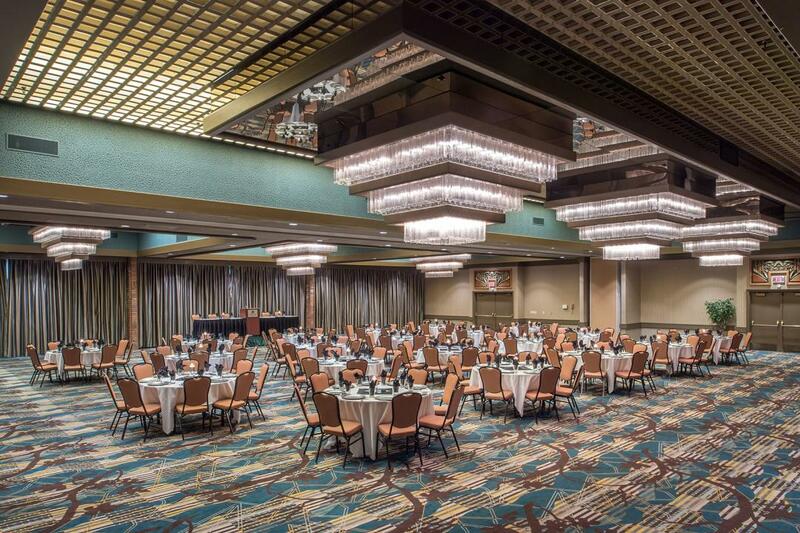 From exceptional catering services to amenity-rich spaces with state-of-the-art A/V displays, your event in Pasco is sure to create a lasting impression. We attend a convention here every year, and the staff is great at putting up with all of us! To find out for yourself why our hotel is a chosen destination for events in Pasco, submit an RFP to learn more about our banquet options and have a Red Lion representative contact you. Red Lion Hotel Pasco recognizes the hard work that local, state, and federal government employees provide. As our way of saying thank you, our hotel offers per diem government traveler rates and complimentary breakfast for all government travelers. Red Lion Hotel Pasco is an ideal location to rest and recharge, offering free parking, Wi-Fi, airport shuttle and Park & Fly packages, a business center and more. If your agency is traveling as a group contact our Sales Team at 509-547-0701 or Request a Proposal today. 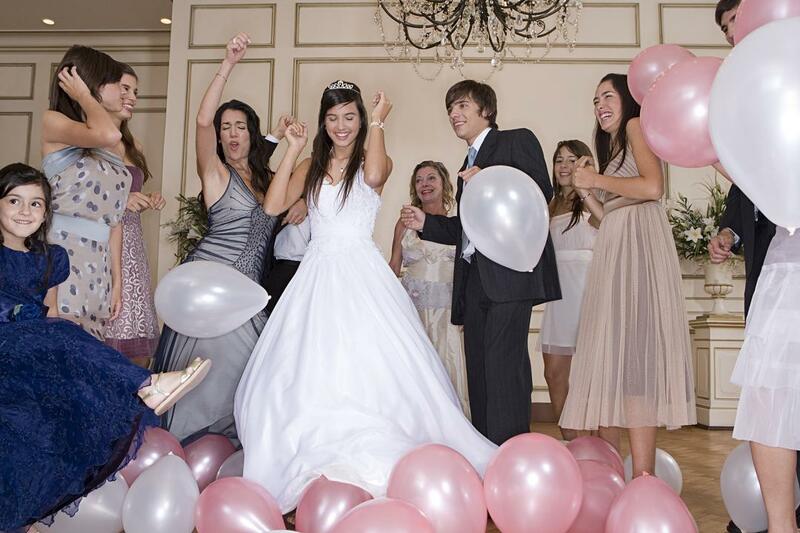 Celebrate your little princess' big day in one of the most elegant venues in Pasco and Washington Wine Country. Red Lion Hotel Pasco has built a reputation for delivering a beautiful and fun party setting with an unprecedented level of service. With a team of professional event and catering staff, Red Lion Hotel Pasco has extensive experience in delivering memorable events and providing an idyllic venue for unforgettable celebrations. Through each step of the planning process Red Lion event specialist will be available to ensure that no detail is overlooked. To create memories that last a lifetime, submit an RFP today or call (509) 547-0701 and ask for an event planner representative to start planning today. Don't forget to inquire about special deals and hotel room blocks for your out-of-town guests. Offering a diverse range of sporting events each year, Tri-Cities and Red Lion Hotel Pasco are considered hubs for sports team travel in Washington. Whether you're a spectator or competitor, the surrounding area offers a diverse range of games and sporting events. From Tri-Cities Dust Devils baseball at Gesa Stadium and Pasco High School athletic events at Edgar Brown Memorial Stadium to the Columbia Cup Unlimited Hydroplane Races and the annual Benton-Franklin County Fair rodeo, our hotel is close to the region's most popular sporting venues. With comfortable rooms and suites and complimentary breakfast for each member of your group, Red Lion Hotel Pasco is perfectly suited to host your traveling sports team in the Tri-Cities. From monster trucks to rodeos and beyond, the nearby Trade Recreational Agricultural Center has something for everyone. Baseball fans hit a home run when watching the Tri-Cities Dust Devils play at Gesa Stadium while hockey fans score big when watching the Tri-City Americans of the Western Hockey League play at Toyota Center in Kennewick. One of only 100 tracks nationwide sanctioned by NASCAR and the fastest half-mile track west of the Mississippi, Tri-City Raceway offers racing every Saturday night April through September. Located minutes away in Kennewick, WA, Toyota Center is the place to be for live entertainment, comedy, music, and more. Our nearby hotel grants guests access to the only year-round ice rink in the area, Toyota Arena, with public skating programs and hockey on display throughout the year, while the 7,200 seat Toyota Center features an events calendar including comedians, Broadway shows, Arena Football, and concerts from some of the biggest bands and artists from all over the world. Learn more about upcoming events at Toyota Center and reserve your stay nearby at Red Lion Hotel Pasco. Celebrate your love in one of the most elegant wedding venues in Pasco and Washington Wine Country. Red Lion Hotel Pasco is known for delivering a romantic setting and unprecedented level of service for ceremonies and receptions alike. Whether you're planning an intimate gathering with just close family and friends or a larger banquet affair, Red Lion offers Washington State wedding packages just for you. With a team of professional event and catering staff, Red Lion Hotel Pasco has extensive experience in delivering memorable events and providing an idyllic venue for unforgettable celebrations. Through each step of the planning process, and at every moment of your wedding, a Red Lion event specialist ensures no detail is overlooked. To create memories that last a lifetime, submit an RFP today or call (509) 547-0701 and ask for a wedding planner representative to start planning today. Don't forget to inquire about special deals and hotel room blocks for your wedding party or group. Close to the best of this unique cultural hub, our hotel places guests minutes from the most exciting things to do in Pasco, WA. From exhilarating outdoor adventures like whitewater rafting on the Snake River to discovering attractions in the neighboring Tri-Cities to shopping, dining, and visiting museums, art galleries, and theaters, there is never a shortage of activities or things to do in Pasco and beyond. Take advantage of nearby wineries, local events and historical activities to make a truly memorable vacation. Designed by John Clark, Arvid Grant and Holger S. Svensson in 1978, the Cable Bridge connects Pasco and Kennewick on State Route 397. The bridge has proven to be a landmark and became the unofficial symbol of the area as locals and tourists admire its unique beauty, especially when lit at night. With choices of over 20 wineries in the area, the best of Washington Wine Country tasting and tours are right at your footsteps. At each of the Red Mountain wineries, you'll be immersed in savory wine, spectacular views, and a peaceful atmosphere. As the fourth-largest producing distillery in Washington State, Black Heron Spirits Distillery boasts a unique distillery near Red Mountain. In the heart of downtown Pasco you'll find fresh fruits, vegetables, locally grown beef, poultry, eggs, and more. From beautiful flowers to tasteful wine and baked pastries, Pasco Farmer's Market has something from everyone. Appease your appetite at Country Mercantile with homemade ice cream, freshly baked pies, tamales, enchiladas, and more. For fun that surpasses your taste buds check out some of the seasonal events including pumpkin picking and tractor rides. Three Rivers Children's Museum, a "Museum on the Move," provides the Tri-Cities and the surrounding communities with fantastic educational experiences for children and families at local events. Enjoy bargain hunting from big name brands like Macy's, JCPenny, Sears, Toys 'R' Us, and more before heading to dine at Azteca Mexican Restaurant or grab a quick drink at Martini Bar at the region's largest mall. Packed with culture, downtown Pasco offers a variety of unique boutiques and one-of-a-kind eateries, reminiscent of a truly dynamic community. 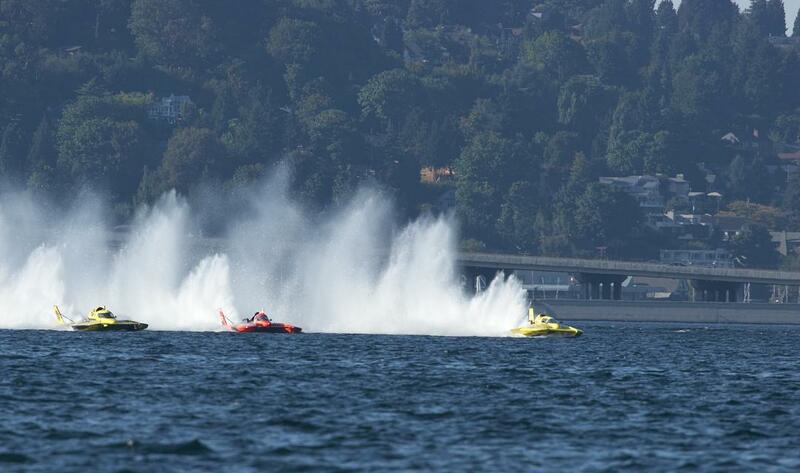 Discover one of the most unique Tri-Cities traditions that allows spectators to watch 200 mile-per-hour hydroplanes. Between the heats of boat racing on Saturday and Sunday, enjoy exhilarating military aerial performances that thrill the many wide-eyed spectators below. This three-day classic car and street rod event is open to all vehicles of all makes and models, and features car cruises, street dances, a Show 'n Shine, games and activities, a pancake breakfast, and awards. Our famed local wineries hosts a variety of events, products, and activities like grape stomps, harvest and crush activities, tours, free-run juice, hors d'oeuvres, live music and plenty of wine tasting. Enjoy a higher level of service, quality, and convenience at one of the most prestigious hotels near Columbia Basin College. The Red Lion Hotel Pasco is conveniently located right across the street from campus and is the perfect place for prospective students and their families to stay during visits. As a perfectly located choice in Columbia Basin College hotels, you're able to experience the best of Pasco from our property. While you're in town, take advantage of the college's theatrical performances, concerts, lecture series, and gallery exhibits throughout the school year. Whether you're looking to enroll, visiting a graduating student, or planning to attend an event, no other hotel places you closer to Columbia Basin Community College in Pasco. Experience the best choice in Tri-Cities hotels with Red Lion and explore a variety of things to do in Pasco, WA and in the surrounding area. What to do in Pasco? Eat like a local. Pasco gives you the chance to become part of the community with our excellent homestyle diners, restaurants, and grocery stores. Here's our pick for three of the best things to do in Pasco. Savor home cooking at Cousin's Restaurant. Thick mashed potatoes like Grandma used to make, juicy 10 oz. hand-cut raised sirloin steaks, and local micro-brews. Cousin's brings homestyle cooking at affordable prices to the neighborhood. 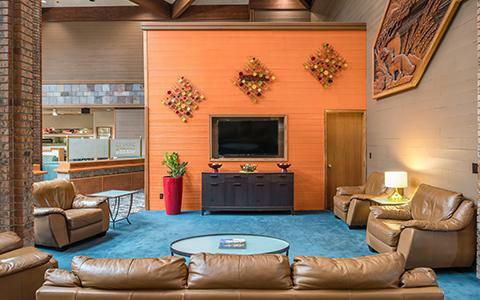 Enjoy authentic Pacific Northwest hospitality in a family-friendly environment. Country Mercantile is family-owned and operated by Jay and Janece Wood. They began in 1996 as a small produce stand offering seasonal fruits and vegetables. Their latest construction in 2002 tripled the size of the store to the big market it is today. You'll find an amazing selection of the Pacific Northwest's finest gourmet foods and the most decadent handmade fudge. Country love straight from the kitchen. Magills serves quality, down-home American fare in their historical alpine village-style spot with a patio and full bar. They are a locally-owned family eatery specializing in handcrafted foods made with fresh, quality ingredients. Home to over 60 wineries within a 50-mile radius, Tri-Cities is known as "The Heart of Washington Wine Country." Don't miss an opportunity to experience the best of Washington Wine Country lodging at Red Lion Hotel Pasco, offering easy access to local wine tastings within the Red Mountain Wine AVA and Columbia Valley. From sampling award-winning wines to immersing yourself in beautiful views of rolling vineyards, your Washington Wine Country getaway is more enjoyable with Red Lion. With special events taking place year-round, there's never a shortage of something to do—and after a day full of wining, dining and outdoor adventures, you'll happily retreat to our comfortable lodging in Washington Wine Country.